Once upon a time going online to find a partner was frowned upon. The consensus was it was necessary to meet someone face-to-face in order to get to know them better, whether that was in a bar or through an introduction by mutual friends. But for singles looking for romance, dating moving over to the Internet became a 'eureka moment.' Suddenly the scope for bumping into partners wasn't restricted to the few dozen singletons vying for attention on a crowded dance floor in some uptown nightclub. The potential talent waiting to be untapped now ran into the hundreds, if not thousands. Of course, being spoiled for choice doesn't always equate to increasing the ability to uncover the partner you have always dreamed about. However, statistically speaking, you now have a much better chance of getting introduced to someone compatible. 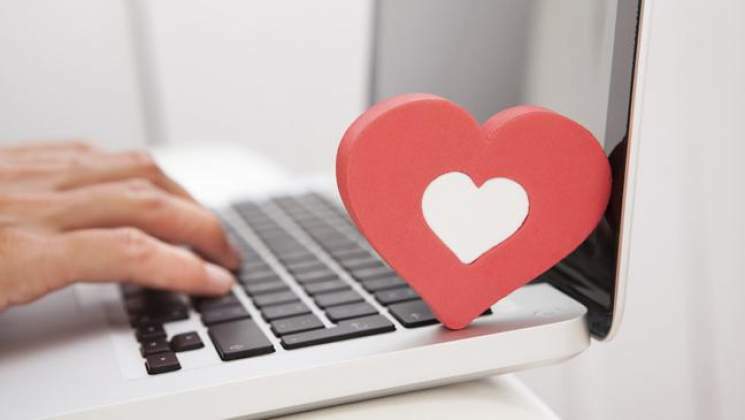 Here are the main reasons why dating websites have become such a hot topic. Where online dating has proved to be particularly successful is in its matchmaking ability. There is currently such a diverse range of sites it’s possible to find one catering for every possible niche area. Some pigeonhole members according to favorite pastimes, or sexual preferences, or whether their visitors are looking for casual flings or meaningful romance. The way these sites are set-up is geared to make it as convenient as possible for users to find what they are looking for, with the functionality to swipe one way to instantly dismiss the profile photographs that don’t particularly grab their attention, while swiping the other way if they feel someone might be worth pursuing later. Online dating is certainly ideal for people who are otherwise too busy to consider the more traditional outlets of getting to know potential partners. A lot of sites employ complicated algorithms that will allow visitors a degree of discernment when it comes to sifting through the pool of available companions. New members can specify exactly what they are looking for in a date, whether that might be companionship or romance. This is useful for singles who have limited leisure time and want to avoid time wasters. Matching websites are also ideally integrated into modern lifestyles, adding another layer to social media. As people commute they can check out other singletons who might be looking to meet up at some point. They can exchange as many preliminary messages as they wish in the run up to any face-to-face meeting, getting to know everything about this future date. This helps to eliminate a lot of traits they might have only discovered on the night. Another area where online dating has proved to be remarkably successful is in its ability to introduce people from different geographical areas. Previously singles were restricted to meeting people who lived within a practical catchment area. Nowadays there are sites which will introduce users to like-minded individuals from all over the globe. Many of the websites contain in-depth guides to the cultural nuances that people can expect to uncover when they start communicating with a person who lives in a different continent. For instance, someone from Europe might be drawn to exchanging messages with an attractive single in Africa, but they will be wary of making a cultural faux pas; in other words, inadvertently upsetting the person they are talking to. Websites will give a succinct list of do’s and dont's. It may not be practical to arrange a hook-up straight away where any of these international relationships are concerned. But with the advent of technology such as Skype it is possible to have long-distance partnerships just as readily as any other. All it takes is a web browser and an Internet connection and the one-on-one chatting can commence. A lot of singles are attracted to this type of online dating because it presents a far more exotic platform for getting to know other singletons. Perhaps they have grown tired of the tired and familiar scene of going to clubs and bars only to come across the same old faces. But this type of connection is exciting in that it is unusual. It is interesting to find out all about different cultures, especially if there is a long-term possibility of actually paying a visit to this newfound partner’s place of residence. What could be more romantic than spending a long weekend in Paris, visiting the Louvre and the Eiffel tower, in the company of a local girl who you have already become very well acquainted with simply by exchanging regular messages on the Internet? For many, romance is typified by meeting people who are outside their everyday social circle. They might be drawn to black singles chat or conversations with a friendly and interesting Asian person. The possibilities are endless.